Hello people of the internet!!! 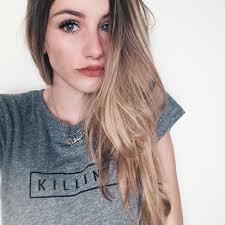 On today’s ‘YouTube Wednesday’ we’re going to discuss an amazing beauty/fashion/life guru named Natalie Barbu. Natalie is a recent college graduate who is now beginning her career as an Industrial Engineer. The reason why I decided to focus on Natalie’s channel today is not only due to her vast knowledge on beauty & fashion, but also because of how interesting & unique her channel is. Trust me as soon as you watch one of Natalie’s video you’ll be so immersed that you’ll instantly want to subscribe (which you should do because why miss out right? Right!). So now let’s get to the videos. Ready? Ok, let’s go!!! The 1st video we’re going to talk about is Natalie’s ‘My First Dorm Room Tour!’, which was uploaded on December 4, 2014 (you can check out the video below). I know, I know it’s summer & nobody wants to think about school, but it will be time to go back before we know it & you gotta be ready (stop booing!). Now what’s one of the most important things about starting college? You got it, shopping! If you’re gonna live in a dorm/apartment or just want to update your room then this video will offer you some GREAT inspiration about cool things you can buy/make in order to make your space uniquely you. So now that we’ve covered the future, let’s talk about a video that will help you right now! Let’s discuss Natalie’s ‘Healthy Summer Snacks | Quick And Easy’ video, which was uploaded on July 15, 2015. Now if you made a New Year Resolution to eat healthier but haven’t started (so basically all of us), this is a MUST SEE for you! In this video Natalie shows how to make easy, inexpensive snacks that everyone can enjoy all summer long. Also, as an added bonus you can also transition these snacks into your fall routine as a good after school snack (so you can be as lazy as you want & only memorize a few recipes while being able to snack healthily. Everyone wins!). Now we’re going to look at Natalie’s ‘DAD TAKES OVER MY TINDER ACCOUNT Inspired by Why Him?’ video, which was uploaded on April 7th, 2017. In this video we definitely get to see more of Natalie’s fun, bubbly personality, as well as how funny her dad is. It’s hilarious to see Natalie’s dad swipe through her Tinder profile, and to hear his reasons why certain guys don’t make the cut. It’s a really fun video that we can definitely all relate to. Lastly we have her ‘BEING A GIRL IN ENGINEERING + Why More Girls Need to go into STEM’ video, which was uploaded on June 26th, 2018 (you can check out the video below). This is a very interesting video in which Natalie tells us about her experiences as a women pursuing a career as an engineer. She also goes into detail about the doubts & offensive questions she’s encounter while pursing her degree. It’s amazing to see YouTubers who are not only knowledgeable about the skills they showcase on their channels, but also take the time to talk about their own experiences/hardships with their viewers. celindareyesblog July 14, 2018 No Comments on YouTube Wednesday: Natalie Barbu, the inspirational beauty/fashion that YOU need in your life. Category: YouTube Wednesday. Tagged: 2018, 20th Cebtury Fox, 21 Laps Entertainment, beauty, fashion, guru, inspiring, instagram, Natalie Barbu, new, Red Hour Productions, Snapchat, Tinder, TSG Entertainment, tumblr, twitter, youtube, youtuber. Hello people of the internet!!! On today’s ‘YouTube Wednesday’ we’re going to talk about an incredible YouTuber who you will soon be addicted to. It can be really hard for a YouTuber to distinguish themselves because of all of the competition from the other great channels on the website. 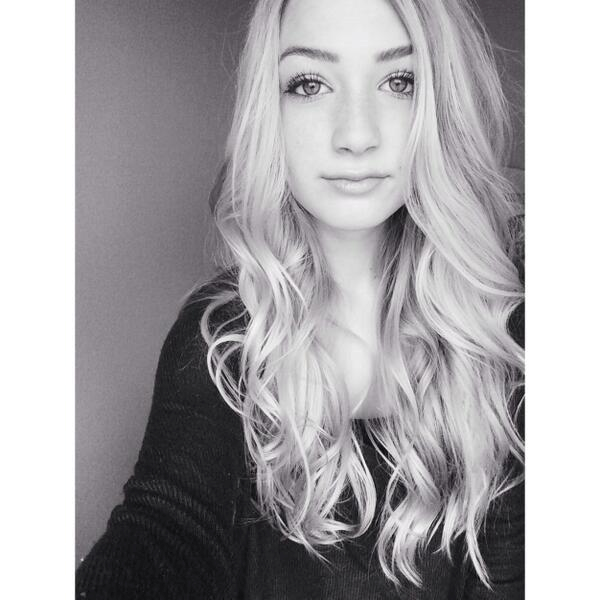 Once you see Keegan’s videos, it’s easy to figure out that she definitely stands out from the crowd. Not only is she knowledgeable about all of the topics that she discusses on her channel, but she’s also very entertaining to watch, has a natural on-camera presence, and she is able to engage her audience from the start of the video to the end. If you’re not already subscribed to her channel then you are definitely missing out. So please read on to discover the YouTuber that all your friends already love. Ready? Ok, let’s go!!! 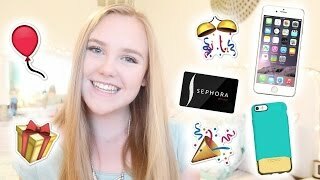 The first video that we’re going to talk about is Keegan’s ‘Sephora and Charlotte Russe’ haul, which was uploaded on June 6th, 2013 (you can check out this video below). This video is the perfect introduction to Keegan’s channel because it shows us that she’s a natural born entertainer who can not only mesmerize her audience, but also leave them wanting to keep coming back to see more. I also love that this video is a haul because we get a glimpse at what Keegan’s personal style is like, which is a great way for her to connect with her audience. Next up we have her ‘First Impression | Nume Octo Wand’ video, which was uploaded on December 26th, 2013. First impression videos are great because we get to see what our fav YouTubers really think about a product without worrying that they’re just trying to get us to buy the product. In this video Keegan shows that she’s really good at reviewing products because she gives a very detailed review that tells us why the product is great, but does so in a way that allows us to figure out if this is the product for us. Now we’re going to talk about Keegan’s ‘ My Braces Experience | EVERYTHING You Need To Know About Braces’ video, which was uploaded on March 17th, 2014. I think that one of the best things about YouTube is that we really get to know our favorite YouTubers in a way that makes us feel as if they’re our best friends. This video is a perfect example of that, because through this video Keegan is able to connect with all of her viewers who have braces, or will get braces in the near future. This is a MUST SEE video if you fall into either of these categories because Keegan is very detailed when she explains the process of getting braces put on, taken off, and everything in between. The final video that we’re going to discuss today is Keegan’s ‘ iPhone Case Collection 2015’ video, which was uploaded on June 22nd, 2015 (you can check out this video below). Personally I love watching iPhone case collections because you get to see some really cool cases and learn where to get them (gotta have more stuff to add to that letter to Santa). In this video we not only get to see some really cute phone cases (I seriously want all of them), but we once again get a glimpse into what Keegan’s personal style is, and how it has evolved. I really wish that I could have written about all of her videos because they’re all AMAZING, so I would definitely check out this channel if you want to give yourself an early Christmas present. All photos and information used in this blog belong to Keegan Acton, YouTube, Twitter, Instagram, Sephora, Charlotte Russe, Apple. iPhone, Nume Octo Wand, all of the people, corporations, businesses, companies, etc mentioned and/or shown in any hauls and/or any videos used and/or mentioned in this blog post, and all other original owners. I do not own anything in this blog. If any people, corporations, businesses, companies, etc, were not previously given credit for their work, they are given credit now and their previous absence was unintentional. All opinions expressed in this blog are my own. I wrote this blog for entertainment purposes and no copyright infringement is intended. 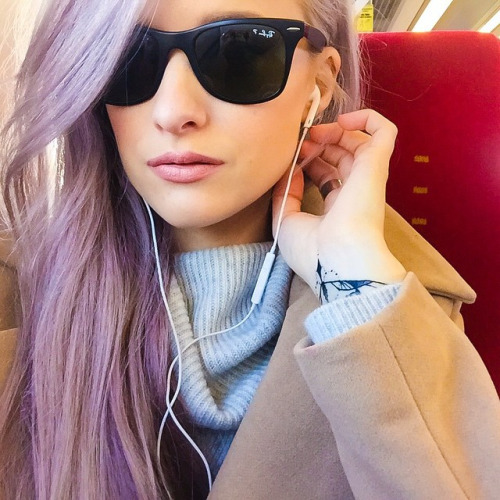 celindareyesblog December 12, 2015 No Comments on YouTube Wednesday: Keegan Acton…the new beauty/fashion guru that YouTube is obsessing over. Category: YouTube Wednesday. Tagged: 2015, 2016, amazing, Apple. iPhone, beauty, blog, Charlotte Russe, christmas, clothes, DIY, entertainment, fall, fashion, features, fitness, fun, guru, haul, incredible, instagram, Keegan Acton, morning, new, night, Nume Octo Wand, OOTD, OOTW, routine, sephora, spring, summer, twitter, vlog, winter, workout, youtube, youtuber. 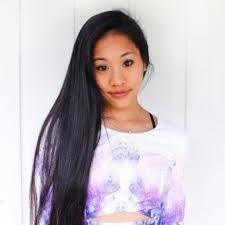 YouTube Wednesday: Selena Lim…YouTube’s gift to you!!! Home | YouTube Wednesday | YouTube Wednesday: Selena Lim…YouTube’s gift to you!!! Hello people of the internet!!! On today’s ‘YouTube Wednesday’ we are going to talk about an INCREDIBLE beauty guru that you definitely have to subscribe to. If you want a channel that will keep you up to date with all the latest fashion/beauty trends, and will show you awesome new workout routines, and keep you seriously entertained for hours then you need to become a fan of Selena Lim (aka WoahItsSelena21). Want to hear more? Then please read on! Ready? Ok, let’s go!!! The first video that we’re going to talk about is Selena’s ‘What’s In My Bag 2014 | College Edition’ video, which was uploaded on November 1st, 2014 (you can check out the video below). This video really gives you a good idea of Selena’s personality and will instantly make you addicted to her channel. It’s definitely a lot of fun to see what our fav YouTubers have in their bags because it can give us advice on good products to buy/carry with us. The next video that we’re going to talk about is Selena’s ‘Fitness Routine 2015’ video, which was uploaded on February 8th, 2015. With all of the food and fun we have during the holiday season, a good workout routine is a must! If you don’t have the time to go to the gym, then this is the video for you. These workouts are effective and can be completed in under 30 minutes so they’re the perfect thing to do between Netflix binges. Now we’re going to move on to Selena’s ‘American Tries British Candy’ video (which you can check out below). This is a really fun video because it’s interesting to see people react to new things, and there’s candy in the video. After watching this video you’ll definitely want to check out some of the awesome candy they have across the pond. The last video that we’re going to talk about is Selena’s ‘Huge Black Friday Haul 2016’, which was uploaded on November 27th, 2015. Y’all know that I love hauls because you get to see interesting OOTD ideas that you may have never seen before, and you get the thrill of shopping without actually having to spend all of you money (gotta save up that money for Pumpkin Spice everything…priorities people priorities). What’s extra awesome about Black Friday hauls, is that you get a good idea of what stores usually have the best sales, so you can properly plan for next year’s sales. Gotta love an entertaining video that’s also educational (or least that’s the excuse we’ll use to watch it over and over again). All photos and information used in this blog belong to Selena Lim, WhoaItsSelena21, Twitter, Instagram, YouTube, all of the people, corporations, businesses, companies, etc mentioned and/or shown in any hauls and/or any videos used and/or mentioned in this blog post, and all other original owners. I do not own anything in this blog. If any people, corporations, businesses, companies, etc, were not previously given credit for their work, they are given credit now and their previous absence was unintentional. All opinions expressed in this blog are my own. I wrote this blog for entertainment purposes and no copyright infringement is intended. celindareyesblog December 4, 2015 No Comments on YouTube Wednesday: Selena Lim…YouTube’s gift to you!!!. Category: YouTube Wednesday. Tagged: amazing, beauty, beauty guru, candy, clothes, fashion, food, guru, instagram, makeup, new, OOTD, OOTW, Selena Lim, twitter, WhoaItsSelena21, youtube, youtuber. Hello people of the internet!!! On today’s ‘YouTube Wednesday; we are going to continue our Halloween series by talking about one of the most important parts of Halloween (no not the candy, although that is VERY important), we’re going to talk about Halloween costumes! We’re VERY close to October 31st, so if you don’t already have your Halloween costume ready then these videos will help you out. Most of the videos don’t involve too much extra work, except #1 which involves some sewing. So now let’s get to the costumes! Ready? Ok, let’s go!!! 3) The first video that we’re going to talk about is the ’30 Last-minute DIY Halloween Costume Ideas’ by CloeCouture, which was uploaded on October 25th, 2014. I really loved this video because it is such a cool and creative video. Most of the costumes are made up of stuff you can either buy or make easily, and there are so many costumes in the video that I’m sure you’ll find something that you’ll fall in love with. Whether you want your costume this year to look cute, unique, or you want to look like your favorite TV/movie/book character or pop culture figure, you’ll find the PERFECT costume for you. Also, the video is EXTREMELY entertaining to watch, so it’s definitely one you don’t want to miss! 2) Next up we have the ‘DIY Last Minute Easy & Cheap Halloween Costume Ideas for Teens’ by Alexa Mae video, which was uploaded on October 16th, 2015. Alexa is a YouTuber that we’ve spoken about before (you can check out that blog post here:YouTube Wednesday: Alexa Mae…the new YouTuber that you will spend your whole spring break obsessing over), and this video just continues to prove what an amazing guru she has become. In this video she shows us how to easily make 3 costumes that will be perfect for anyone who wants a unique/cute look this Halloween. My personal favorite is the popcorn costume, but they’re all AMAZING so definitely check this one out. 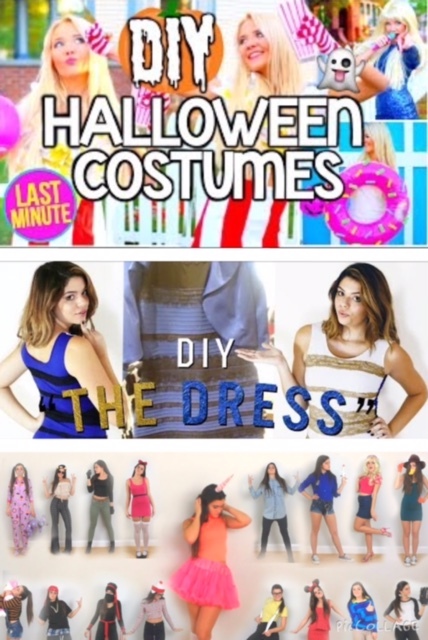 1) ‘DIY “THE DRESS”/DRESSGATE HALLOWEEN COSTUME’ by TheSorryGirls, which was uploaded on October 15th, 2015. Ok y’all it’s back, THE DRESS. You know the dress that divided the internet, and haunted our nightmares for weeks, yup that dress. As soon as I saw this video I knew that it had to make the list because this costume is just so amazing. It does require some sewing, but this costume is so worth it. If you want a super unique video that will give your friends a laugh this Halloween then definitely check out this video. All credit goes to YouTube, CleoCouture, Alexa Mae, TheSorryGirls, any and all original owners of any copyrighted material such as characters, songs, etc., used in any of the videos used in this blog post, all of the businesses, companies, people, stores, and any other original owners involved and/or mentioned in any of these videos, any and all companies, individuals, and/or businesses that should receive credit for anything mentioned in this blog post, and all original owners. I do not own anything in this blog. If any people, corporations, businesses, companies, etc, were not previously given credit for their work, they are given credit now and their previous absence was unintentional. All opinions expressed in this blog are my own. I wrote this blog for entertainment purposes and no copyright infringement is intended. celindareyesblog October 29, 2015 No Comments on YouTube Wednesday: Need Halloween outfit inspiration? These channels have you covered. Category: YouTube Wednesday. Tagged: 2015, 30, 31, Alexa Mae, amazing, awesome, beauty, CleoCouture, costume, crazy, cute, disney, DIY, dressgate, fashion, fun, guru, halloween, Hannah Montana, kids, Kim Possible, last minute, new, october, teens, the dress, TheSorryGirls, unique, waldo, winnie the pooh, youtube, youtuber. Hello people of the internet!!! We talk about so many amazing YouTubers that are all incredible and unique in their own way. There is one thing that all of these YouTubers have in common, if you like the channel, then you subscribe to it so you don’t miss a thing. Well what if you could subscribe to YouTube? Yup you heard me right! On today’s ‘YouTube Wednesday’ we are going to talk about YouTube’s recent announcement that they will begin their 1st subscription service on October 28th. This is definitely a very new move for the website, so keep reading to see how this could affect you. Ready? Ok, let’s go!!! 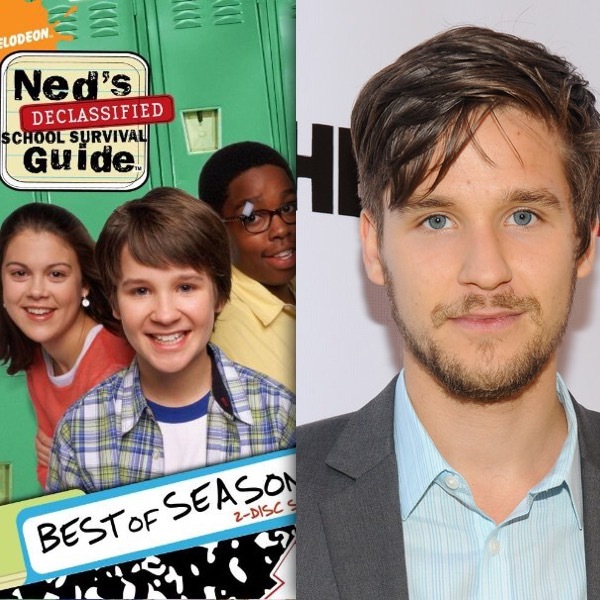 Ok now that I’ve officially freaked you out, let’s break down the details of this news. At an event in Los Angeles earlier today, YouTube released it’s new subscriptions service called ‘YouTube Red’, which allows subscribers to pay $9.99 a month in exchange for some really cool benefits. These benefits include: the ability to watch unlimited YouTube videos completely ad free, the ability to save videos to watch offline when you don’t have a connection to the internet, the ability to continue watching videos while running other apps, unlimited streaming of Google Play Music, and exclusive content from top YouTube creators that you won’t have access to without this subscription. YouTube has said that you will be able to watch a lot of the same content for free, but you won’t have access to any of the bonuses listed above. Needless to say this is a BIG step for a website that is now a huge part of our everyday lives. So what do y’all think of this change? 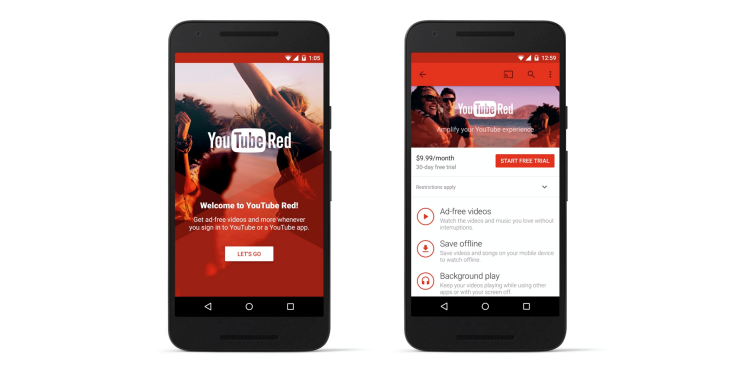 Will you subscribe to ‘YouTube Red’? One thing is for sure, starting October 28th, the way we watch YouTube will be changed forever. Let me know below what you think, and check out this video from theverge.com that explains all of the new changes in greater detail. All credit goes to YouTube, theverge.com, techcrunch.com, YouTube Red, all of the businesses, companies, people, stores, and any other original owners involved and/or mentioned in any of these videos, any and all companies, individuals, and/or businesses that should receive credit for anything mentioned in this blog post, and all original owners. I do not own anything in this blog. If any people, corporations, businesses, companies, etc, were not previously given credit for their work, they are given credit now and their previous absence was unintentional. All opinions expressed in this blog are my own. I wrote this blog for entertainment purposes and no copyright infringement is intended. celindareyesblog October 22, 2015 1 Comment on YouTube Wednesday: YouTube Red…YouTube steps into the subscription game. Category: YouTube Wednesday. Tagged: 2015, 9.99, beauty, change, comedy, content, creators, exclusive, fashion, gaming, guru, haul, hulu, internet, music, netflix, new, opinion, service, streming, subscription, tech, techcrunch.com, technology, theverge.com, videos, youtube, YouTube Red, youtube star, youtubers. Hello people of the internet!!! On today’s ‘YouTube Wednesday’ we’re going to talk about an awesome YouTuber that you will all soon be obsessed with. Bryn, aka bindlebeautyx, is a very cool fashion/beauty/lifestyle guru that you just gotta subscribe to right now (well finish reading this and then go subscribe. Ok? Ok!). On this channel you’ll find interesting and unique videos about fashion, beauty, health, and so many other topics. Once you check out one of Bryn’s videos then you won’t be able to turn away, so if y’all are ready let’s start talking about some of the many great videos you’ll find on this channel. Ready? Ok, let’s go!!! The first video that we’re going to talk about, is Bryn’s ‘Outfits of the Week! 11/12-11/16’ video, which was uploaded on November 17th, 2012. I thought that this was a really good video to start things off with, because in this video we really get a good idea of what Bryn’s personal style consists of. I like that all of the outfits have pieces that we all either have in our closets, or are easy to find at most stores. Even though in most places it may not be cold enough yet for all of these looks, you can rework some of the outfits, and get A LOT of style inspiration from this video. The next video that we’re going to talk about is the ‘How I Style: Knee High Socks’ video, which was uploaded on March 1st, 2013 (you can check out this video below). This is such a cool video, that I found entertaining and really unique. If you love knee high socks or you’ve wanted to try this look out, then this is the video for you. Personally I like it when YouTubers take a chance and make videos that put their individuality on display, because it makes you a lot more interested in their channel. Next up we’re going to talk about the ‘DIY: Last Minute Halloween Costumes!’ video, which was uploaded on October 25th, 2014 (you can check out the video below). With Halloween right around the corner this is a great video to check out if you want a quick, easy costume. In this video, Bryn shows you three costumes that are perfect whether you want a costume that will literally take 5 minutes to make, or something a little cooler that is still easy to do (and don’t worry if you’re not good with makeup because Bryn explains everything step by step. Ok, the final video that we’re going to talk about is the ‘How To: Get Frizz-Free Hair!’ video which was uploaded on May 11th, 2015. In this video Bryn gives great hair care tips such as which shampoos/conditioners & brushes will help reduce frizz, and how often you should wash your hair. If you want to learn some tricks & tips to help improve your hair, or if you don’t currently have a hair care routine then you gotta check out this video. All credit goes to YouTube, Instagram, Twitter, bindlebeautyx, Bryn, all of the businesses, companies, people, and any other original owners involved and/or mentioned in any of these videos and/or hauls, any and all companies, individuals, and/or businesses that should receive credit for anything mentioned in this blog post, and all original owners. I do not own anything in this blog. If any people, corporations, businesses, companies, etc, were not previously given credit for their work, they are given credit now and their previous absence was unintentional. All opinions expressed in this blog are my own. I wrote this blog for entertainment purposes and no copyright infringement is intended. celindareyesblog September 10, 2015 No Comments on YouTube Wednesday: bindlebeautyx…your newest beauty/fashion/lifestyle bestie. Category: YouTube Wednesday. Tagged: beauty, bestie, bindlebeautyx, Bryn, fashion, fitness, fun, guru, health, instagram, lifestyle, new, repeat, star, subscribe, twitter, youtube, youtuber.